Almost all the institutes offering distance learning MBA program claim that their MBA program is the best. This further creates confusion among students that which one to choose. If you are looking for the MBA college in India for distance learning then you must have a look at the colleges mentioned here that you can consider to pursue your master’s degree. The rising demand of the skilled management professionals has increased the demand of such courses. Distance MBA allows for acquiring management education through the distance learning mode. Best MBA colleges in India offer various diploma and postgraduate distance learning courses in different disciplines. These courses are offered via correspondent learning that make them suitable for the working professionals as well as students. The course material is designed by the industry experts and students are also provided with the latest study material to hone their skills. The virtual learning platform allows students to access the course material, classes and have live interactions with teachers. Pursuing distance MBA saves time as well as money of the aspirants. The working professionals choose to go for the distance MBA program to get promotions at their work. MIT School of Distance Education: MITSDE is one such platform offering plethora of distance learning programs in management in different disciplines. The courses are offered via correspondence learning making it suitable for the candidates to access the program anywhere at any time. Completely flexible course modules are offered to the learners. The study material is self-explanatory and subject-focused. Becoming a part of this institute gives an opportunity to learn the best educational programs designed by the industry experts. D.Y. Patil Institute of Distance Learning: DPU IDL is one of the best MBA colleges in India offering the top distance MBA programs. The programs at the institute are designed as per the growing needs of modern learning community and equip them with the right knowledge and skills that are demanded by the industry. The institute is dedicated to impart the world-class education to the aspirants via distance mode. The syllabus is designed by the dedicated authors and industry experts to suite the present business requirements. The institute offers distance MBA in different specializations which an aspirant can choose as per their choice. 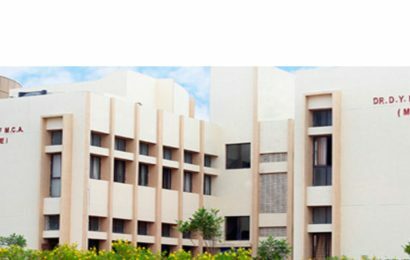 Institute of Management and Technology Centre for Distance Learning: IMT CDL is among the top business schools in India offering distance MBA. Courses offered are recognized and designed as per the current industry traditions and requirements. Any graduate can apply for these courses and there is no entrance test. Apart from these institutes, many other universities and colleges are also offering the MBA distance learning courses.